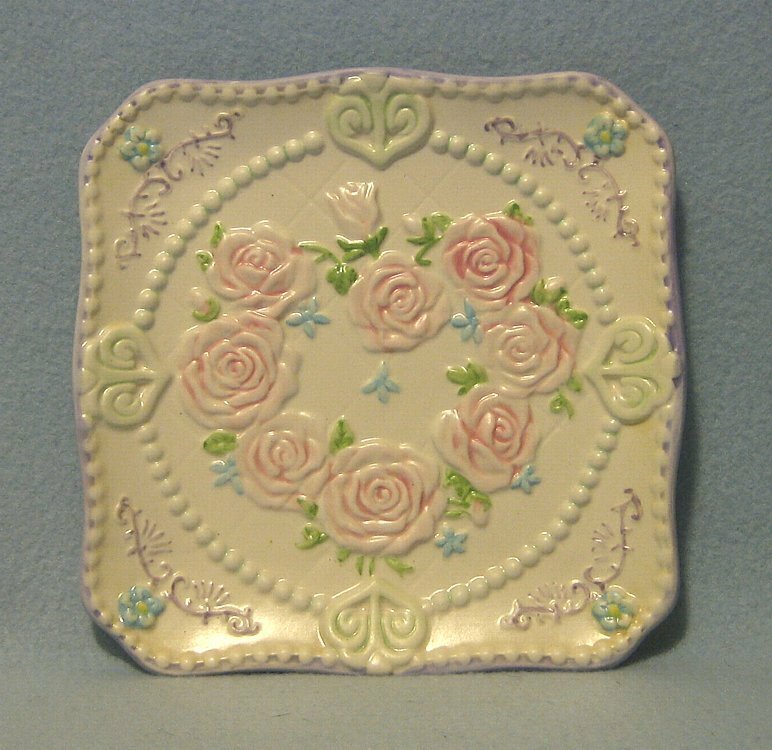 Ganz - EK4355 - Hanging Trivet or Plaque or Plate 1 Satin Finish Ivory Plate 6 1/4" square with Embossed Pink Roses Encircled by Light Green Beads Fleur-de-lis, Blue Flowers with Yellow Centers and Lavender Flourishes in the Corners and a Bead Lavender Stripe Rim. 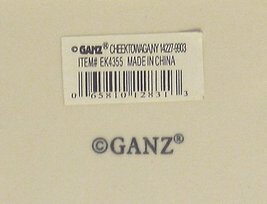 Factory Attached Hanger on the Back. 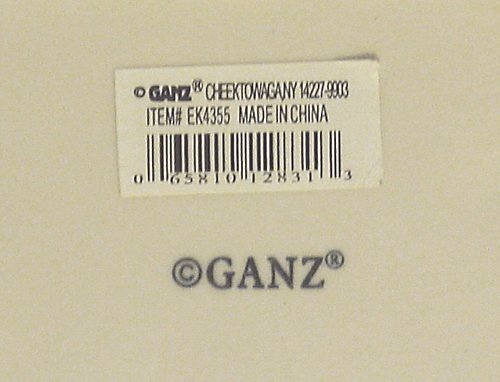 Excellent condition with no chips, cracks, scratches or stains. Some scuff marks on the back and a tiny black dot on one of the roses. Package Weight: 1 lbs 4 oz. Please see my shipping policies for more information about services used and both domestic and international rates. 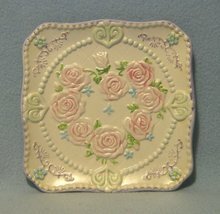 Visit my booth for China, Stoneware, Glassware, Collectables, Books, Patterns and More.